Discover exactly what’s being stored in your corporate file environment, so you can take action and plan for the future. Your corporate file environment is full of secrets. What types of files do you have? How much capacity are they consuming? How old are they? When were they last touched or modified? How quickly are they growing? How much are they costing you? Left unanswered, these questions result in revenue loss and put risk at the forefront. It’s your job to know it and stop it. View detailed statistics about file types, storage volumes and storage resource usage. Find out what files can be removed and what files may represent risk. Evaluate the potential benefits of storage resource controls and file archiving. Understand growth rates to plan for future purchases, or potential savings. Establish and enforce fiscal accountability for storage resource usage. 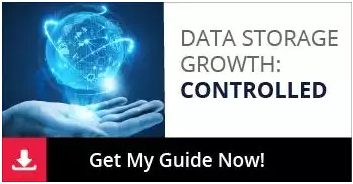 Understand file growth and storage resource consumption over time. 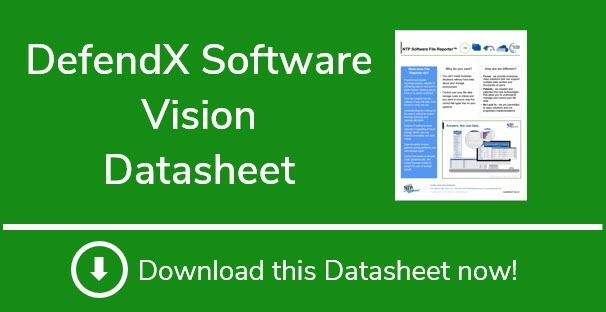 From technical documents to white papers, we have everything you need to learn more about DefendX Vision and all of our other products and solutions. Don’t let chaos and risk hijack your valuable storage resources and hold your business hostage. Find out how to better understand your corporate file repository, keep it space efficient, and secure important files from insider threats.